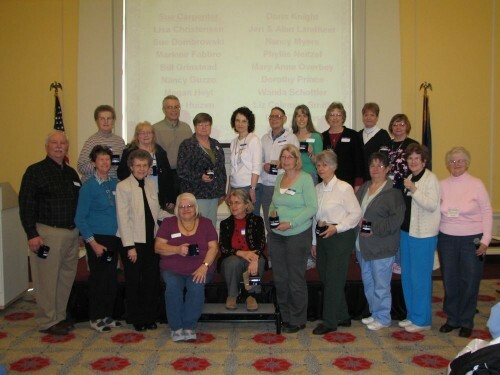 Family Reunions – Who Knew? 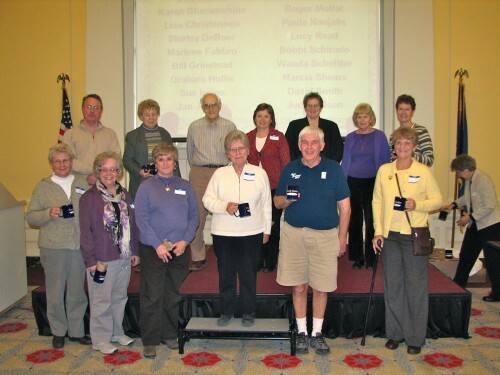 Pat Bravender spoke at our meeting on Saturday, January 5th about a topic that is probably not heard often – Establishing Kinship Using Family Reunion Announcements. Our speaker presented a program based on her article of the same title in the spring 2012 issue of American Ancestors (NEHGS) which you can download and read at http://works.bepress.com/patricia_bravender/6/. Pat told the group how reports of family reunions in local newspapers are important and often-overlooked sources of family history that can provide valuable information about family members and relationships. Pat offered tips to help you find family reunion records for your own family. WMGS publishes at least four newsletters each year. We also snail mail these out to hundreds of members, libraries, and societies. Electronic versions are created and you can subscribe to these via our publishing tool at http://www.scribd.com/wmgs6266/. You can log in using your facebook account if you have one, or create a free scribd.com account. This is the best way to get your newsletter as soon as it comes available! The monthly meeting on November 3rd featured Tim Gleisner of the Grand Rapids Public Library and WMGS board member, Lisa Christensen teaming up to discuss Mexican-American genealogy resources and research methods. An enthusiastic audience gave their program very high marks! The handout for Lisa’s portion is available here. We think you’ll find it very informative no matter what type of research you may be involved in. Thanks Lisa for providing this. The Western Michigan Genealogical Society received a sizable donation of books this past summer from Barbara Vander Mark. If you have Illinois ancestors, especially from McLean County, you need to review this list. We’ve sent the books on to the Grand Rapids Public Library and the titles are now on the shelves on the 4th floor. Beegle, M. M. (1966). 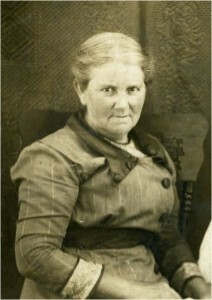 Colebaugh family genealogy (comb binding ed.). Roaring Spring, PA: self. 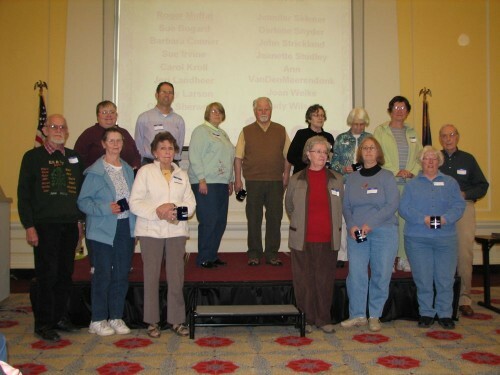 Bloomington-Normal Genealogical Society. (1976). McLean county cemeteries (Allin twp, staple binding ed., Vol. 4). Normal, IL: Author. Michigana is now ready! If you are a member, it should be delivered to your mailbox within the next couple weeks. We apologize for the delay!! We experienced technical problems earlier this year and those have been resolved. The lost work has been restored. Then, unfortunately, our editor has been battling some health problems. She’s feeling better now and we’re working our way to getting back on the normal publishing schedule. This issue has several interesting articles. Mary Rasch Alt discusses some of the genealogical records available at the National Archives in Washington D.C. Bobbe Horton shows us how to make sure our family treasures are never thrown away. To Blog or Not to Blog – Dawn Westfall provides some answers. Paula Naujalis tells the story of Henrietta Lacks and her family. And you can read all about the 1940 census release. I’ve had several interesting genealogy finds recently that demonstrates this. One in particular is my GIBBS research. Long ago I (with a group of other GIBBS family researchers) gave up thinking we’d find the ancestry of my 4th great grandfather, Justin GIBBS of Jefferson County, NY. It was a classic upstate New York DEAD END, BRICK WALL, DO NOT PASS GO situation. This spring we attracted a couple of new researchers that provide an option we hadn’t been able to use before. DNA! These male GIBBS cousins are newer to this Justin GIBBS dead end, but they make up for their lack of experience by their enthusiasm and persistence – oh, and also contributing their DNA for study. In the last three months, as a group we’ve narrowed the possibilities considerably and our attentions are re-focused. We still haven’t solved the Justin question, but we’re a many times closer to that step backwards than we’ve ever been. I’ll let you know how we make it. Take heart. Brick walls can crumble. It might happen unexpectedly when it does. West Michigan Junes are wonderful. There are many things to do and the weather generally cooperates. As genealogists, we need to take advantage of the summertime weather and longer daylight hours and do some outdoor activities – like cemetery trips, family reunions, and vacation/research trips to areas where our ancestors lived. Genealogically speaking, I hope this summer will be very productive for you! Maybe you’ll have an experience this summer that you’d like to share with others. Do you like to write? We’re seeking a few people to periodically contribute short articles or stories for the WMGS Blog. News or events, books you’d recommend, historical or family information, research tips, or fun facts are all possible subjects. If you like to write, but aren’t sure how a blog works, we can show you how easy it is to publish online. An internet connection and browser are all that you need. If you are at all interested, please write to me (president@wmgs.org) and I will give you more information about how you can contribute to one of our resources. What do you do when you can’t find an obituary for someone important in your family line? One of my 2nd-great grandmothers lived in small communities all across northern Michigan in the late 19th and early 20th centuries. The family worked in the woods, moving from town to town following the lumber companies. I haven’t discovered an obituary for her – yet. I’ll still look. In the meantime, I thought I’d write one for her with the information I do know. What follows is all true with the exception of her funeral details. Mrs. Sarah Maria (Harrison) Meredith of Thompsonville, granddaughter of Michigan Pioneer Elias Harrison, died at Charlevoix Hospital on Tuesday, May 9, 1921, after a short illness. The cause of her death was determined to be Chronic Myocarditis. She was 54 years old. She married Charles Wesley Meredith on September 14, 1880, in Elkland Township, Tuscola County, Michigan. The family worked in the woods during Michigan’s early lumber industry, moving with the company camps from the Thumb area to Houghton Lake, then to Thompsonville in Benzie County in 1894. For work, the family continued to move around northern Michigan living in lumber towns in Antrim, Charlevoix, and Roscommon counties.